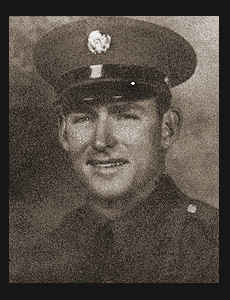 Cpl Benton A. Reeves, son of Mrs. George W. Reeves, graduated from Manitou High School. Entered Army in 1941, trained in Ft. Sill, Okla., and Ft. Bragg, N. C.; served in S. W. Pacific; was discharged. Awarded Asiatic Pacific Ribbon with two Battle Stars, Good Conduct Medal, Am. Defense and Victory Ribbons.